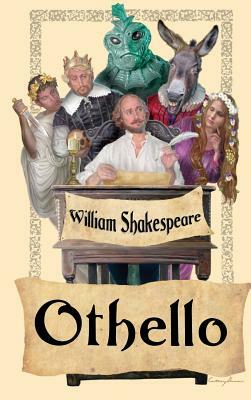 Othello (Hardcover) | The Drama Book Shop, Inc.
To Die Upon a Kiss-- Othello is Shakespeare's great tragic play of love, trust, and deceit. Iago, an officer of the watch, sets out to destroy Othello by convincing him that his young bride, Desdemona, has betrayed him and is secretly in love with another man. What sense had I of her stol'n hours of lust? I saw't not, thought it not, it harm'd not me; I slept the next night well, was free and merry; I found not Cassio's kisses on her lips. He that is robb'd, not wanting what is stol'n, Let him not know't and he's not robb'd at all.